Visiting Dublin was a revelation to me. The city breaks I normally take are in places where the sun shines and impromptu fiestas block roads and rouse plaza drinkers to take their tiny saucers of cubed snacks into the streets. To visit somewhere less than 200 miles away midwinter seems counter-productive – what for? Why not just stay in Manchester? 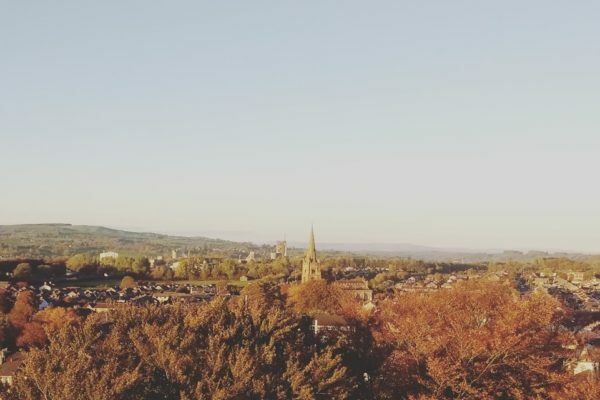 – but it was my 30th birthday and I’d been told it was a special place. It turns out that Dublin is the only place I can stand the drizzling rain. 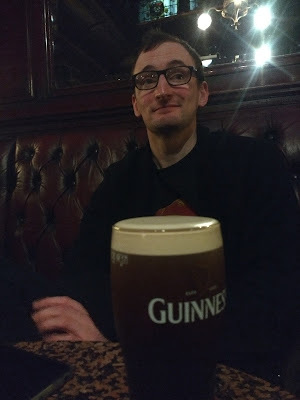 For two days I walked down sandstone and cobbled streets encased in hanging droplets of Atlantic Ocean with the worst hair I’ve ever had, without a care in the world. 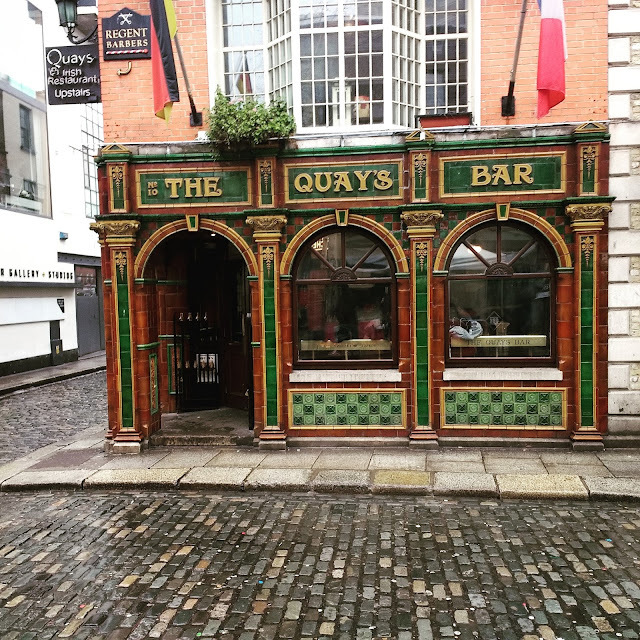 And it isn’t that Dublin has some sort of whimsical charm about it – that’s a myth. 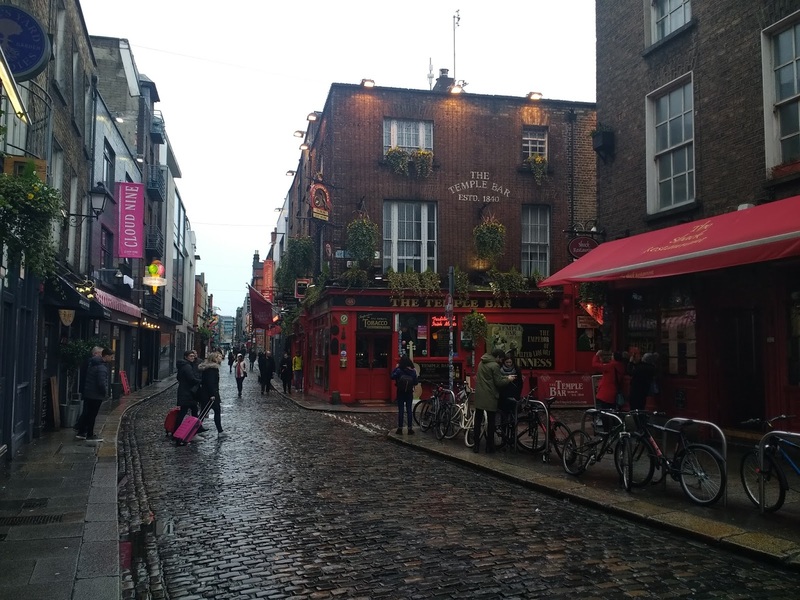 Dublin is a modern and vibrant city, bursting at the seams with independent retailers and exciting artistic diversions, as well as street after street of some of the most perfect shopping you’ve ever seen. If you’re into that sort of thing. It’s not so much a clash of old and new as a total reassessment of what a proud, old, historic city can be and it works. It just does. 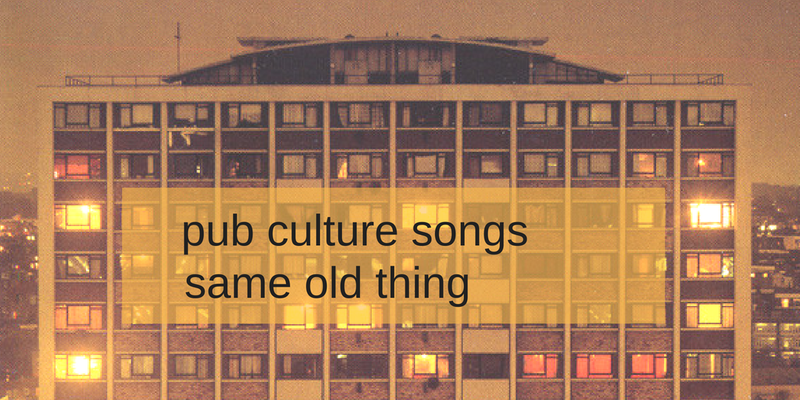 Of course, in two days there’s only so much you can do, and as a burgeoning beer blogger, it seems befitting to centre this post on pubs. 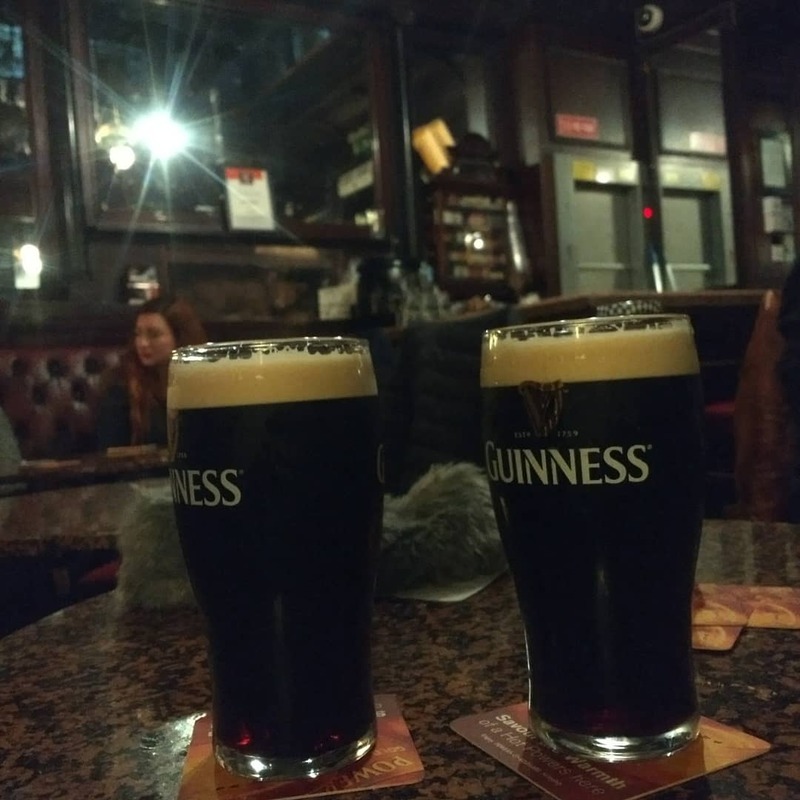 You don’t need me to tell you anything about Dublin’s drinking scene, except perhaps the re-affirmation that it’s very much alive and kicking, and far less staggy than you’d expect. Against the Grain, the first place on my list and the first place I visited, was a complete delight, offering craft enough to excite us even after a day of diazepam (bad flyers) and amazing quantities of Lebanese food. Dark, friendly and yes, okay, expensive – I’ll happily pay it if I’m on holiday though – I blazed through my first-night birthday cash with abandon. Before you visit, people talk about the Guinness as though it has miraculous properties. Their eyes mist over as they try to grasp the fading memory of it, before taking your hand to make you promise, hand on heart, that you’ll have a pint for them. I thought it was all melodrama but the Stag’s Head showed me that yes, Dublin Guinness is a joy, and yes, I can drink more than five in an afternoon and still be fit for a decent tea. 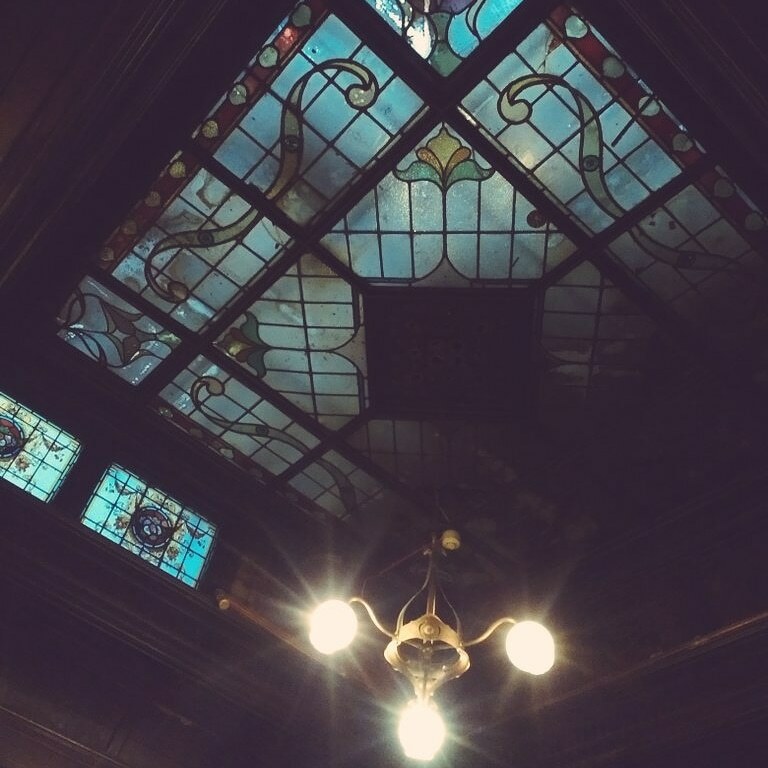 A Victorian bolthole in Temple Bar, The Stag boasts aged brass chandeliers, stained glass and floor-length mirrors aged cosily with pipe-smoke-and-wear patina. I spent a long time in the snug looking at reflections bouncing around the room, thinking about the smartly-dressed men who would have checked their sideburns for accuracy in them more than a hundred years ago. It’s that sort of place. I went back twice more during my stay. During my stay, walking past pubs in Dublin became a hobby of mine, and I hope I return soon to continue the series of photos I started. 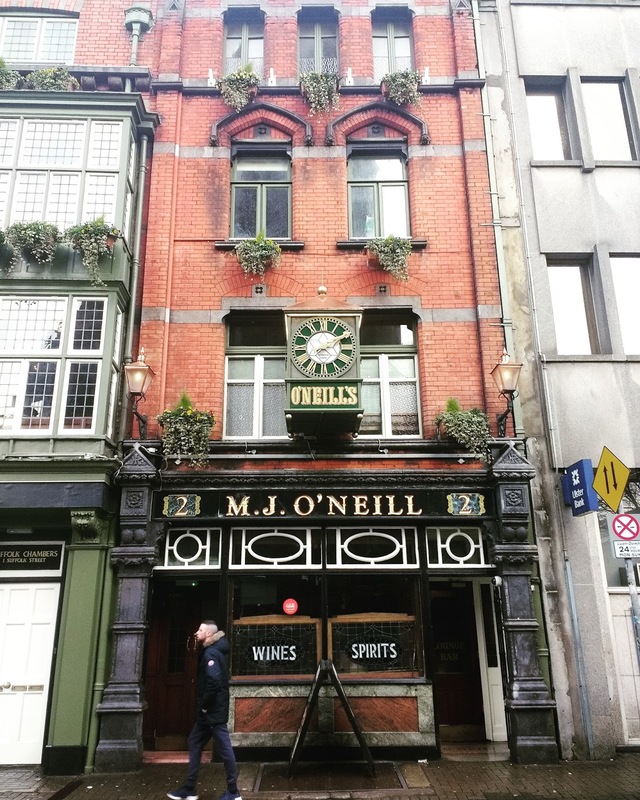 I take photos of pubs in England too, but there’s something about the places I saw there – including the The Temple Bar itself, even – that make even a late person sure they’ve got time enough in them to have a swift one. Because who hasn’t got ten minutes for a short conversation? I did commit one cardinal sin though, and it was that I didn’t visit one single brewery or distillery. We just didn’t have time. We walked to Jameson’s because there was a church with crypts I wanted to see nearby, but instead of touring, we sat in the bar opposite and had a beer. 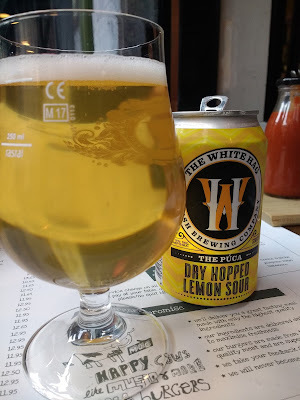 Mine was a zingy dry-hopped lemon sour by The White Hag, based out of Ballymote, Sligo. Maybe we’ll try harder next time. Glad you enjoyed! 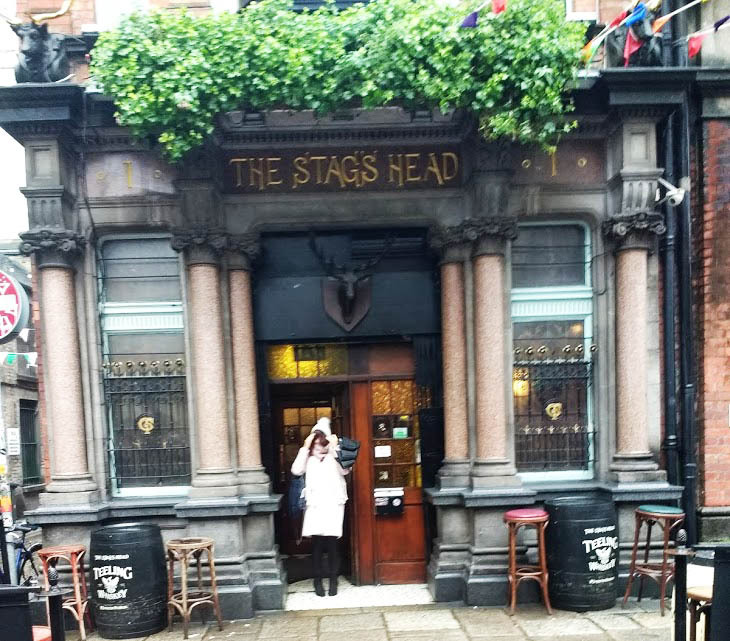 On a point of topography, Temple Bar doesn't extend south of Dame Street so The Stag's Head mercifully escapes its clutches. You didn't miss much with Jameson. The distillery was shut down decades ago so all that's left is a rather soulless corporate museum. Ah, well, that explains something then since The Stag's Head is more or less perfect. We did nip our heads into the distillery but it looked like a hotel reception that was built to look like a distillery so… yeah. We didn't stay.